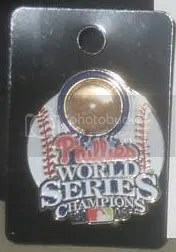 Last week I saw a Phillies pin up for sale that I knew I had to have. It contains actual infield dirt from Citizens Bank Park. These were given out to certain group clients and couldn’t be purchased at a gift shop. I never thought I’d own a pin with a relic in it. Sept. 22 (Bloomberg) — Mariano Rivera was like a kid in a sandbox after the final game at Yankee Stadium, down on his hands and knees digging up dirt from the pitcher’s mound for a memento. His keepsake just isn’t officially recognized by Major League Baseball. During the Yankees’ 7-3 win over Baltimore last night, baseball had a team of three authenticators on hand to verify just about anything connected to the final game at the 85-year- old Yankee Stadium — from infield dirt and bases to the lineup card. It’s all part of the sport’s effort to eliminate fraudulent memorabilia from the marketplace. “Since we are the leading sport in terms of memorabilia, we decided to take the leadership position and create this program ourselves to protect our fans, players and clubs from all the fakes out there,” baseball spokesman Michael Posner said in an interview at Yankee Stadium. Hundreds of items were officially recognized as game-used, receiving a sequentially numbered, tamper-proof hologram on the spot. It ensures that fans who may pay hundreds, if not thousands, of dollars for the items are getting the real thing. Among other items verified by baseball’s team of authenticators — all of whom have backgrounds in law enforcement — were balls, new bases every half-inning, rosin bags, dugout signs and several buckets of dirt shoveled off the infield long after the players’ celebration subsided. 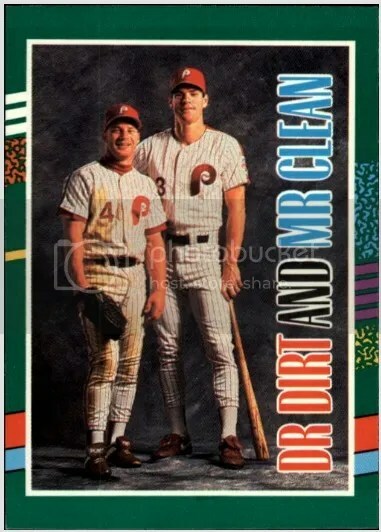 While many players, like Rivera, scooped up dirt on their own following the game, the officially approved product was shoveled into buckets and sealed under the eye of an authenticator. The containers are then sent to licensees in Florida, where they’re opened by another authenticator to ensure no seals are broken. After that, it’s broken up into smaller lots and given a hologram, which destroys itself if removed from a piece of memorabilia. “It’s a chain of custody, really, it’s like evidence,” Posner said. Baseball set up its program in 2000 after a probe by the Federal Bureau of Investigation found that more than 75 percent of sports collectibles were fakes. Other major U.S. sports leagues, such as the National Football League and National Basketball Association, also have programs to combat counterfeit memorabilia. Rivera said he plans on keeping the dirt he gathered for himself, as a memory of the stadium in which he had 230 saves and was a part of four World Series-winning teams. All of the authenticated items go to the Yankees and many will likely be auctioned off through the team’s Web site. Some will go to players, who have requested a piece of history. Other items in Yankee Stadium, from lockers to urinals, haven’t yet been authenticated. They will before the stadium is torn down and the team moves into its new $1.3 billion home across the street.